The trash man won’t come inside your home and pick up the garbage on your back porch, basement, front porch or attic. In fact, the trash man isn’t picking up anything that is not in a municipal recognized receptacle and near the curb. Junk Removal of STL will. Our team goes above and beyond what is expected. This service is great for anyone who is physically unable to collect trash and take it outside. It would be our pleasure to establish a regular scheduled trash pick up agreement with you. As long as your trash is in a bin, trash bag or box, we can remove it from your home or office. Old clothing, food waste, documents, magazines, books and newspapers can be removed along with personal toiletry items. You live by yourself and you’re in a wheelchair. Before the stroke you were able to get around the neighborhood and take the trash out with ease. Until you regain your mobility you’ll need a little help. We would love to be a temporary bridge while you regain your strength and develop more brain synapsis. A member of our team can arrive weekly to collect the trash around your home and haul it away. Junk Removal of STL is located in the city of St. Louis, MO. Although we service the entire St. Louis metropolitan area. We have clients throughout St. Louis County. There is no limit to where we will go within city limit boundaries. We provide junk removal services for all 79 of the government sanctioned neighborhoods. From Academy to Visitation Park, we have clients in upper class and moderate income communities. It is a testament to our reliability and reputation to be able to work in residential, commercial and mixed-use areas. If you are unhappy with the municipality’s waste management services, contact us to fill in the gaps. You don’t have to be physically challenged to benefit from our garbage pick up services. Many of our customers travel at least 50% of the year. They are not home to put out the trash weekly. With the use of a fool proof security system, we are able to take care of their trash without incident. This service helps keep recovering hoarders in check. Without intervention, it can be easy to slip back into old habits. By employing Junk Removal of STL to arrive weekly, we can aid as a tool to your wellness. City waste management employees waste trash in the street and haphazardly toss your cans on the sidewalk. When you hire us, you are guaranteed seamless garbage pick up. The cost for weekly garbage pick up is affordable for any budget. Whether you are a business, single family homeowner or property manager, we think you will find our prices to be extremely reasonable. You are more than welcome to contact us for a one-time pick up or temporarily while on vacation our healing from a recent surgery. Clients that establish a regular scheduled pick up agreement save more money over time. 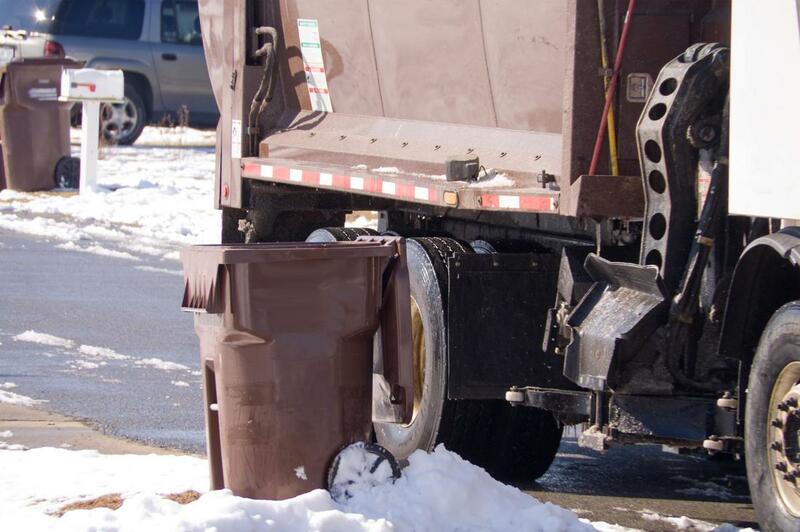 The driver will dispose of your trash at the same landfill as the city’s waste management. You can rest assured that your garbage is being disposed of properly.